As an integral part of the Refugee Support Community Sheboygan, we work in concert with many other organizations and individuals to support recently arrived refugees. Our goal is to provide a warm welcome. In the past year, 10 families were identified and assigned an advocate that determines what is needed and how best to help. Four Syrian, two Somali, and four Rohingya families received assistance. Four additional families and six individuals were helped occasionally. Refugee Support Community Sheboygan is action-oriented, flexible and fluid, respectful of cultural diversity, reaching out to identify and organize resources able to help. Support for refugees takes many forms: housing and housekeeping, education and tutoring English language learners, medical and dental needs, resume writing and getting jobs, transportation and learning to drive, food and nutrition, socialization, and administrative assistance, including help with Green Card applications. “Rolling up our sleeves,” working together, sharing our knowledge, expertise, and resources, we have made a difference. From our new, dear refugee friends, we have learned much about profound strength, dignity, courage, resourcefulness, resilience, and gratitude. We thank you. 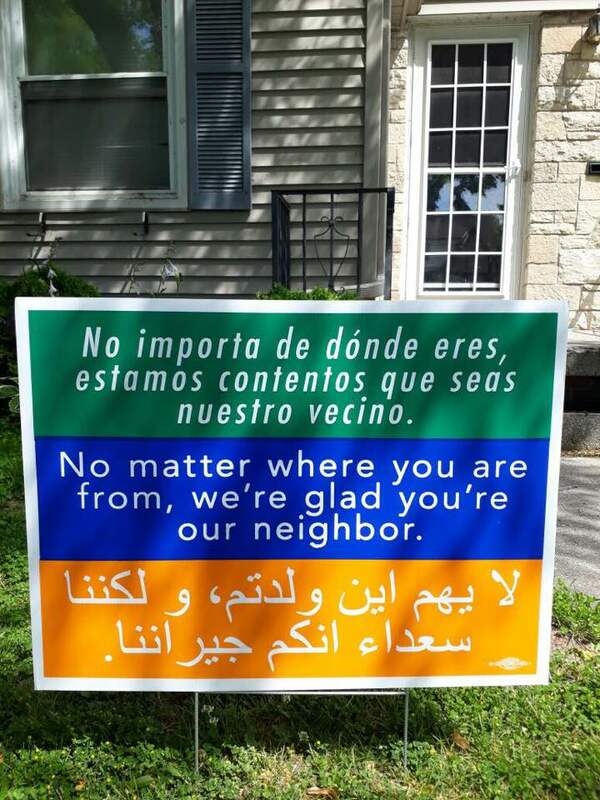 We’re glad you’re our neighbor.